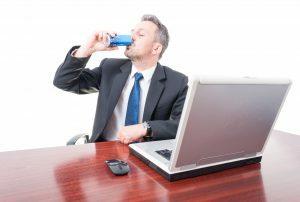 Energy drinks have been a great partner when it comes to keeping you mentally and physically energized for a long day of work. There are, however, many types of energy drinks on the market today that offer different energizing effects to your body. And you wouldn’t know which is suitable for you unless you check the label or try the product yourself. 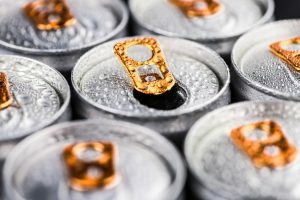 Here, we will give you a guide on how to choose the right energy drink and a list of the top 10 best energy drinks online. Through this, you will eventually have a good understanding of which type of energy drink your body needs. So let’s begin! Choosing the right energy drink is hard, but getting the wrong one is even harder. So before browsing the Net for some good stuff, we will now give you the essential factors to consider when buying an energy drink. The ingredients, like caffeine, of your energy drink are the key to selecting the right drink. These ingredients vary from drink to drink, depending on the manufacturer’s target market. Below, we will provide you the helpful ingredients you should take note when checking labels. When you’re really tired from a long day’s work and you can feel that your body demands rest, you’ll be needing help from energy drinks packed with vitamins B12 and B3 and taurine. B12 effectively cures your fatigue, while B3 restores your energy. Taurine, on the other hand, increases your Gamma-aminobutyric acid (GABA) levels, a neurotransmitter responsible for stress levels. 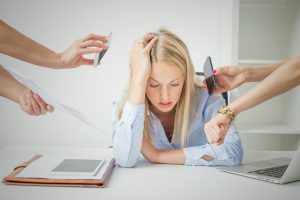 When GABA levels are increased, it calms your nervous system and lowers your anxiety and stress hormones, which completely relieves you of fatigue. 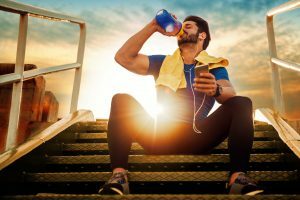 If you’re a sports enthusiast and you’re always on the go for athletic competitions, you’ll need some energy drinks rich in BCAAs – valine, isoleucine, and leucine. BCAAs are amino acids that are responsible for protein build-up in your body. And we all know that protein fuels our energy for our physical activities; therefore, you need as much protein as you can. 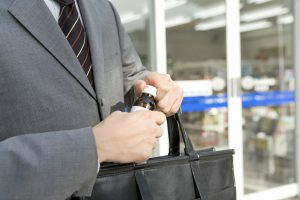 Although our mentality for energy drinks is usually for athletic people, there are also energy drinks on the market that contain essential vitamins like B-group and C to cure colds. B-group vitamins (B12, B5, and B6) and vitamin C are the common nutritional ingredients in energy drinks that help boost your immune system. Both vitamins increase and stimulate white blood cells, which kill viruses and bacteria. 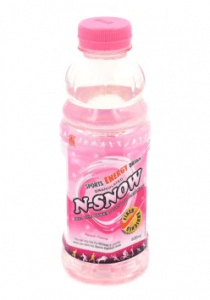 Therefore, getting an energy drink packed with B vitamins and vitamin C is highly recommended when you have colds. Caffeine is a known stimulant that effectively prevents drowsiness. 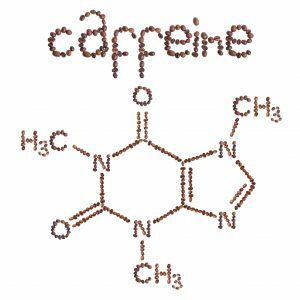 And we also know that this drug is present in many energy drinks to keep us awake during a busy day. It is truly suggested to take energy drinks rich in caffeine if you want to stay awake. However, too much consumption is not advised as it is not good for your body. So consume energy drinks with caffeine moderately! 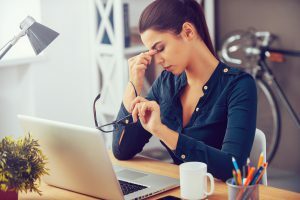 For eyestrain or “asthenopia,” there are also some energy drinks that help relieve this minor health problem. Drinks that contain Gamma oryzanol are recommended as the mixed compound helps in restoring tired nerves in your eyes. Chondroitin sulfate is also another helpful ingredient to look for in energy drinks. It is effective in reinstating the normal condition of your eyes. Women suffer from “unexplainable” uneasiness when they have their period. For this reason, manufacturers introduce energy drinks online to help women fight the “uneasiness” during menstruation. The key ingredients of these drinks are iron and vitamin B6. Energy drinks rich in iron aid in re-establishing iron lost during menstruation. Vitamin B6, on the other hand, prevents menstrual cramps. So if you have your period, choose an energy drink that has these nutrients! We are all aware that many energy drinks on the online market today contain caffeine as one of their main ingredients. And we also know that we need caffeine especially if we need to be awake. However, the most important thing to remember when you have colds is to check if the energy drink you want to buy contains caffeine. The reason for doing this is because usually, tablets for colds already have caffeine. Too much caffeine intake is dangerous. It can lead to insomnia, digestive issues, muscle breakdown, or addiction. The suggested dosage is only a maximum of 3 g per day, that is, 1 g per tablet. Now, we will present the top 10 best energy drinks online you can take note of. The list will give you a good idea of which drinks are fit for your needs. 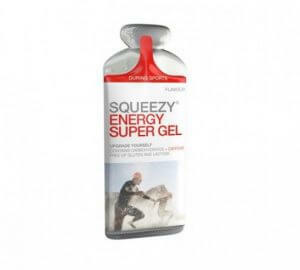 This ultra endurance energy drink unleashes your full endurance level for an intense and prolonged physical activity. It’s an energy drink for athletes, especially to professional runners who are into bigger competitions. 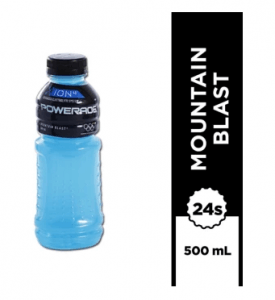 It has the essential carbs and electrolyte replenishment, perfect for a winning run. It’s an easy-to-mix formula to fuel up your maximum power! You’ll get 240 calories in each serving, just right for energy accessibility and rapid absorption. Don’t worry about dehydration as its key electrolytes will keep you hydrated. 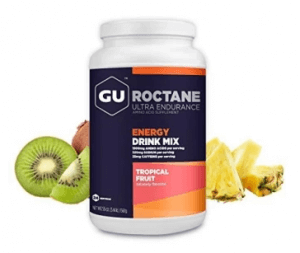 It also contains beta-alanine to enhance muscle buffering and branch amino acids to fuel energy, delay fatigue, improve recovery, and reduce muscle damage. Squeezy aims to upgrade you in terms of performance. It’s the world’s first gel drink that is best for athletes who want the best out of their performance! The drink gel is specially made that contains low osmolality, excellent for competitive athletes. It promises to only have the needed ingredients such as caffeine and carbohydrates for an outstanding performance. The gel also emphasizes the absence of artificial sweeteners and preservatives, which makes it really safe. You’ll actually enjoy 12 sachets of this in a box! Powerade Berry Blast powers you up with B vitamins – B3, B6, and B12. It’s the sports drink for sports enthusiasts and athletes who are into intense sports adventures! These B vitamins primarily fuel your body so you can enjoy long sports adventures without even feeling exhausted and tired. It has an advanced electrolyte system that replenishes electrolytes, which you lost when you sweat. It is also formulated with a 6% carbohydrate solution to fire up your muscles. The drink’s mountain berry flavor will entice you more to gulp it up until the very last drop. Brand’s energy drink has a lot to offer you! 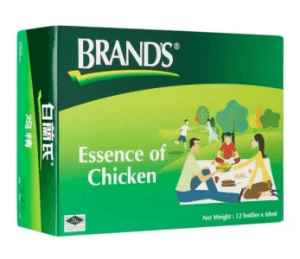 It primarily helps your metabolism to work faster with its specially formulated chicken extracts. It makes absorption and digestion easier for you as well, so won’t feel bloated all the time. The drink also fights fatigue and stress by improving your physical energy, concentration, and mental alertness. This exceptional drink can cater to many Filipinos who work long hours and who need maximum energy to beat deadlines. It is also suggested to students who are under pressure for a major exam and to mothers who just gave birth to regain their strength too! You surely don’t want to miss this! 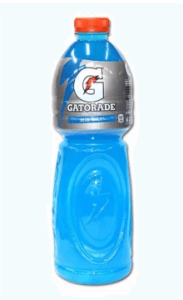 Gatorade replenishes your lost energy with its scientifically formulated ingredients! It’s an energy drink for sports enthusiasts and athletes who take prolonged body works and for people who love doing a daily exercise. It chiefly replaces electrolytes that are lost every time you sweat. The drink also promotes hydration and carbs for your muscle works. It is also a perfect aid when you suffer from diarrhea as it keeps you hydrated. It’s a drink you should not miss when you are aiming to release all your sweat and when you want to burn all your fats! This wonderfully flavored sports drink is packed with dietary fibers that help make digestion faster. However, it does not only digest food in your stomach, but it also aids in extracting the nutrients you need from the food you ate for a better energy release. It’s a sports drink for all ages, from kids to adults! The drink also comes in different flavors like peach, orange, and guava. It’s 100% natural, which is healthy for your body too! You’ll definitely feel lighter every time you drink it! This is a killer energy drink that delivers twice the effect of any other drink! It’s great for those who are physically strained, want to boost their energy, need to be treated for colds, and want to burn fats to fuel their energy. This drink contains taurine, ginseng, B vitamins, and L-carnitine – a healthy mixture to make you feel better and stronger. The drink is also called “the meanest energy supplement on the planet” as it brings out the monster in you, especially in times of stress. It also provides a delightful taste because of its smooth flavor. What a wicked way to start your day! Redbull Energy Drink primarily has it all! It’s highly recommended for people who want to stay awake, relieve stress, fight against colds, and keep hydrated. The drink contains caffeine, taurine, B-group vitamins, and Alpine water – a perfect combination in one drink. 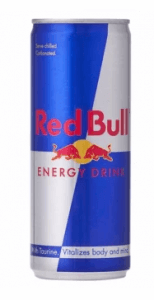 Aside from its wonderful ingredients, Redbull also improves your performance in any physical work, even if you are in deep strain and stress. It increases endurance and concentration, especially when you have deadlines to catch up or if you want to win a sports competition. It’s not surprising it’s the number 1 on our list! When Is the Best Time to Take Energy Drinks? It’s always safe to know as well the best time you should take your energy drinks. You must learn that energy drinks ideally last for 4 hours. So it is advised to take one bottle before going out to work. However, if you miss drinking in the morning, you can do it during lunchtime to give you the energy to finish the second half of your day. It is much effective, however, if you drink another bottle before going to bed the next day. However, your drinks should vary in these time zones because you should not drink those with caffeine before bedtime if you want to sleep well. It also depends on your lifestyle as well. So drink wisely! Is Drinking Energy Drinks Every Day the Best Practice? It’s a big NO! Although it is good to take energy drinks as advised in the time zones, taking it every day is not recommended because of three major reasons. First is the risks of too much caffeine in your body, as what was mentioned previously. Next, these drinks contain a huge amount of sugar too. It can potentially lead to diabetes if uncontrolled drinking is not prevented. Lastly is an addiction. You can be completely dependent on the drink where you can’t control your body anymore to crave for more energy drinks. On the brighter side, the suggested frequency of drinking is only once or twice a week. Discipline yourself and don’t overdo it for the sake of your health’s welfare. These energy drinks that are flooding the online market today may offer you different effects on your body. However, the important thing to remember is to keep an eye on the ingredients it contains. With our list of the best energy drinks, you’ll have a good start in finding the right drink that will eventually energize you at all times!